The eternal question… if we have Gorilla Glass, why would we need a screen protector? Well the answer is simple. 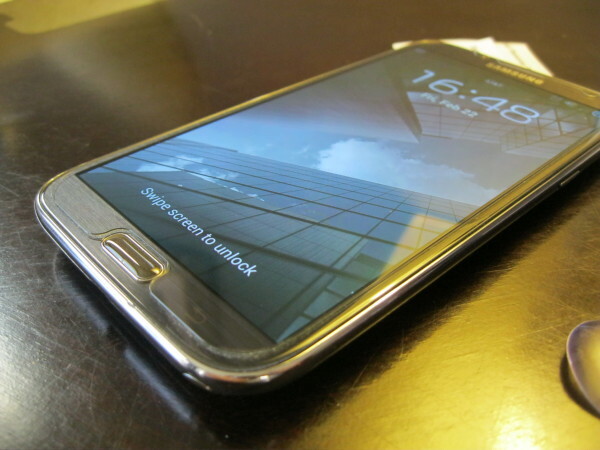 Gorilla Glass still scratches, and in some cases it scratches quite easily. The next question… why with $2.50 screen protectors on eBay would someone spend nearly $60 on a screen protector? 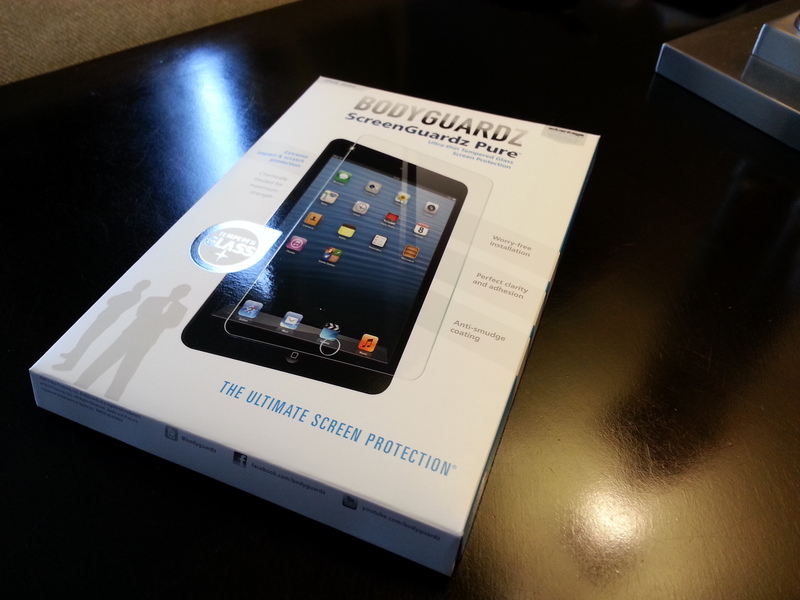 The BodyGuardz ScreenGaurdz Pure is a $59.95 screen protector for the iPad Mini ($47.96 w/ Adavantage Program). Yes, the price seems a little crazy, especially when you consider in the low end of the market can get you a basic screen protector for $2.50 shipped. But what you don’t get with that low end protector is quality, durability and piece of mind. There are protectors out there a for more money which greatly improve the quality but they still lack durability. Edges peel up, dust gets underneath and within a couple months you’re peeling it up and tossing it away. Even the “skin” style protectors suffer from those issues, along with the “orange peel” effect. If you’ve ever used a skin you know they tend to degrade the clarity of the screen, as well as add a resistance which can be problematic if you’re a stylus user. The Pure is different from those other protectors because it doesn’t “lift up” around the corners. It adheres to the screen (not permanent) so you don’t get dust build up around the edges. Add to it that the Pure is made of chemically treated tempered glass, and you’ve got an extremely performant screen protector with very little resistance that remains completely clear. If you end up with a couple dust particles after install, simply lift the closest edge and use the provided dust removal stickers. I had a couple minor ones and it only took a minute to get them out. 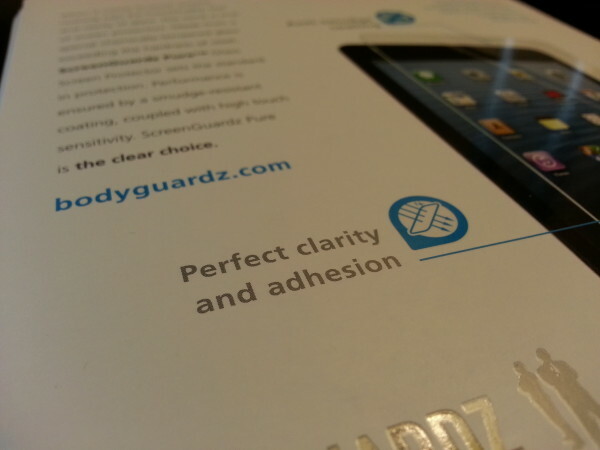 In the interest of full disclosure, BodyGuardz provided the ScreenGuardz Pure to iSource for our review. With that said, after only a few days after installing the Pure I ordered one from BodyGuardz for my Galaxy Note 2. I don’t know of a better way to explain how happy I am with the product than showing you I put my money where my mouth is. I believed in the product enough to go out and purchase it for my daily driver, and I installed it the day it arrived. My Note ends up in pockets, face down on desks, in my backpack with all kinds of junk and three weeks after installing the Pure it doesn’t have a mark on it. The S-Pen is also a joy to use and glides across the screen with ease. Should you buy one? I don’t know. For many people the thought of dropping that much coin on a glass screen protector for a glass screen is going to be a tough thing to swallow. But, having done so, and having used both for nearly a month, I don’t regret the decision a bit. Neither device has a single mark on the Pure and when my next device comes around I hope BodyGuardz has the ScreenGuardz Pure available, because I’ll be ordering one.